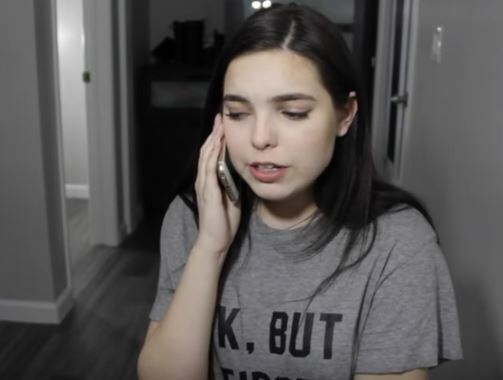 A YouTube star called the police after she was left terrified when she ‘accidentally’ filmed a ghost during her latest vlog. 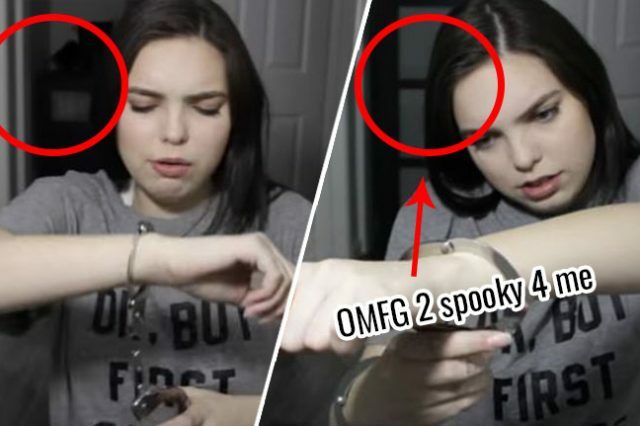 The spooky goings on began when YouTuber Meghan Currie, 19, heard an other-worldly knocking at her front door while recording with a friend but when she went to the door there was no one there. Things escalated from there though as Meghan tried to finish her video but the ghost showed a complete lack of camera discipline and started mucking about in the back of the shot, opening a wardrobe door. What a diva trying to pull focus like that. Anyway, Meghan’s friend clearly got annoyed at the spook trying to steal the spotlight and the pair investigated the mystery of the opening wardrobe, once again finding nothing but they were so shaken by the events they allegedly called the police. This was absolutely terrifying. The police came and we changed our locks and took necessary steps to feel a little safer in our home. Ever since this happened we’ve heard strange noises but nothing like this has happened again and I hope it doesn’t. The video’s been viewed over 400,000 times now and even spawned a sequel reaction video, which somehow manages to do the impossible and be even less convincing than the first. A particular highlight is when Meghan complains about noises from her closet and a painted over crawlspace which she can’t film because the camera keeps cutting out. Maybe the ghost got shy? If you’re wondering why I’m so unenthused about this ‘proof’ of a world beyond this one I have a pretty succinct explanation, I believe this ghost’s faker than a particularly fake, fake-thing made by Freddie the fake who specialises in making particularly shoddy fakes. Now of course it’s worth noting that I don’t know whether Ms Currie is telling the truth or not and I admit that she may have had an other-worldly experience, it’s a vast universe after all, but let’s apply Occam’s razor to this scenario. 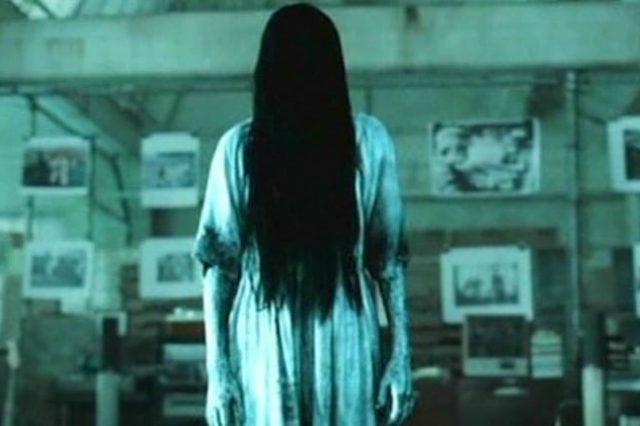 That a YouTuber who needs views to earn money faked a paranormal experience so people would watch her video or that she was visited by a ghost who attempted to communicate with her through the medium of opening and closing wardrobe doors. You decide but I know which side of the fence I’m on.